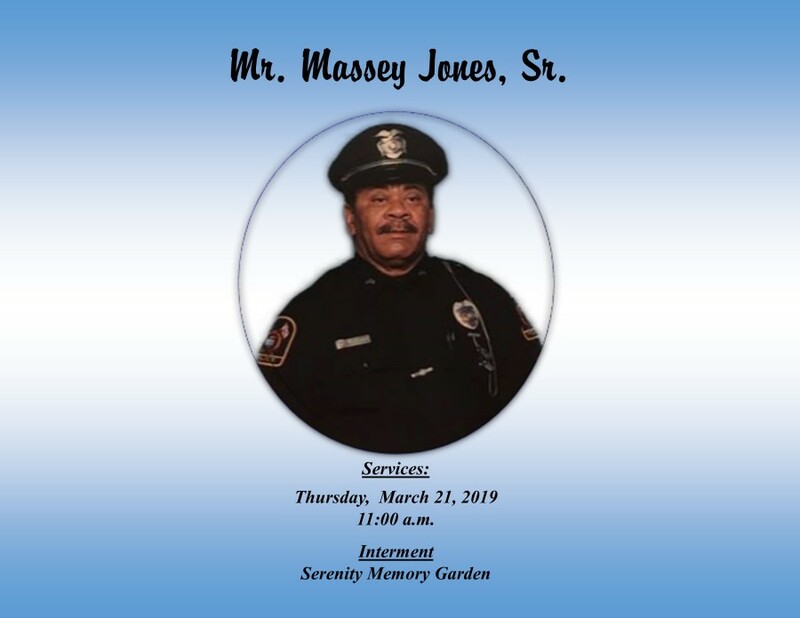 Massey Jones Sr. transitioned into eternal rest on Wednesday, March 13, 2019, at Shelby Baptist Medical Center. Services will be held on Thursday, March 21, 2019, at Reform Presbyterian at 11:00 am. Interment will follow immediately in Serenity Memory Garden. Ashley's JH Williams and Sons Funeral Home thank the Jones family for selecting our firm for the final disposition of their loved one.